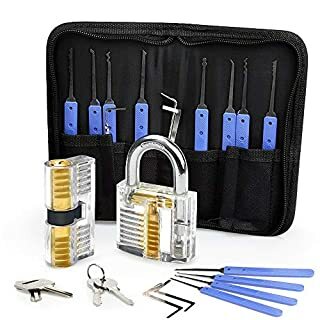 If you've ever wanted to learn how to pick locks like a certified locksmith, look no further than the most comprehensive lock pick set ever created! No, picking a lock isn't just for criminals looking to make off with your flat screen TV. On the contrary, it's a very useful skill to have; just ask Jason Bourne, James Bond or any secret agent that ever needed to get into a room quickly and discretely. 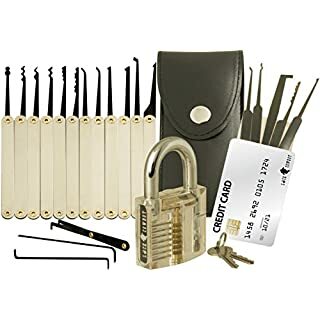 While you may not be a super spy trying to fill out your spy kit, the Lock Cowboy 20-Piece Lock Pick Set with amenities will give you all the tools, training and knowledge you need to unlock yourself out of a jam. EVERYTHING YOU NEED TO LEARN AND SUCCEED Lock picking seems like it would be a challenge, right? Well, luckily for you, our lock pick set is so versatile and comprehensive that we've given you everything you need to start and continue. From lock picking tools to a transparent padlock for training to a lock pick set for your wallet, we've got you covered. So whether you're looking to impress your friends, need a way to keep you from locking yourself out of the house again, or you just want to add to your locksmith set, choose Lock Cowboy, and you'll never need another lock pick set again. 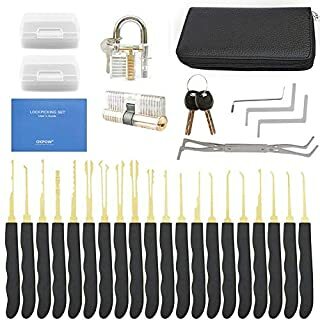 Complete Professional Lock Pick Set Includes: 15-Piece Lock Pick Set with Leather Case 5-Piece James Bond Credit Card Wallet-Size Lock Picking Kit Transparent Cutaway Padlock with Keys and a Case Beginner's Quick Start e-Guide with 2 Video Illustrations Advanced MIT Guide to Lock Picking Try Risk-Free with a Lifetime Money Back Guarantee!Click "Add to Basket" above, and every locked door on the planet will start to fear you! 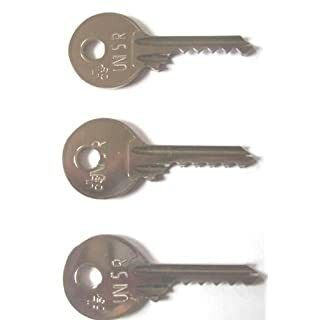 Lock Jiggler keys - 3 piece set. This pick set is the same size and almost as thin as a credit card so pits perfectly into your wallet. It slides open up to reveal a double ended tension wrench and 4 picks / rakes. 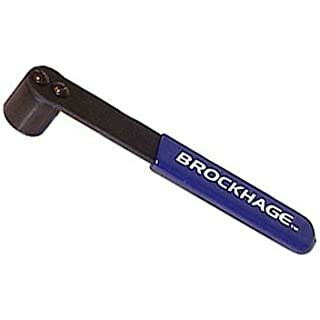 Bringing you the Brockhage Bump Hammer Flexi Plus. Having the right choice of hammer can be key (excuse the pun) to bumping your lock. 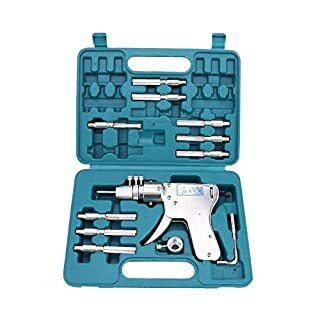 Having this Brockhage hammer will ensure you will have just the right amount of flexibilty and of course with the reliablty you get from Brockhage tools.There are other hammers on the market but we Brockhage offer the best for value and quality. 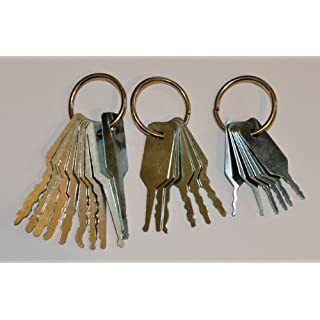 Full Set - 24 Bump Keys - to fit 99% of UK door locks. 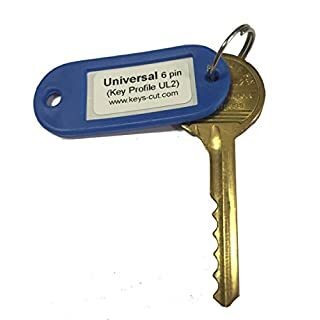 Bump keys designed to open locks. Like any bump key should be (shoulderless) these keys will open most of the locks you come in contact with. 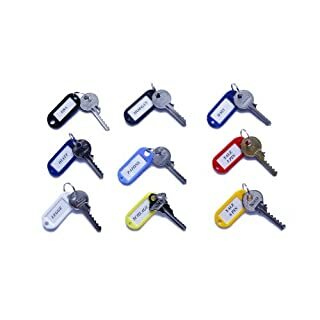 Choosing a set or just one key at a time, building a collection of these keys is a must for any locksmith. 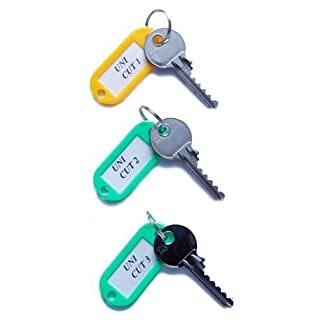 Please note: We do not want bump keys getting into the wrong hands, we will only send to a traceable address, please make sure at checkout you state the company name and address these are for, with a land line phone number. 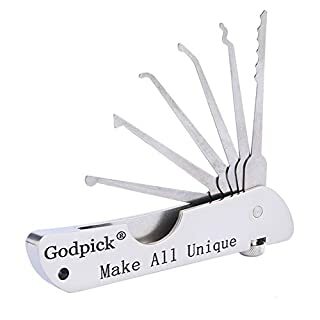 Godpick Fold Lock Pick Tool Stainless Steel 7-in-1 Folding Multitool with Secure by Twist Lock The Godpick Pocket Lock Pick Multitool is the perfect pocket tool for the man that has everything. Keyring-friendly in case of emergencies, this solid piece of engineering gives you access to 6 picks and a tension tool to finesse a whole range of locks. The Godpick Lock Pick Multitool is the portable accompaniment to carrying a whole set of picking tools. If versatility is your game, or you fancy yourself as a spy, a locksmith or a locksport specialist - our solid, compact tool is just what you need. It conceals 6 picks and a tension tool all in a compact easy-to-carry folding body. Pocket Sized Wonder! This is a brilliant little tool which I always carry with me. Pocket Tool! : Great little tool. Within sevsral hour of delivery I'd cracked the front door and a couple of padlocks I had lying about. ... a great little tool to carry on your person. On Christmas day whilst visiting friends, they got locked out of their home and I so happened to have the pick set on me. 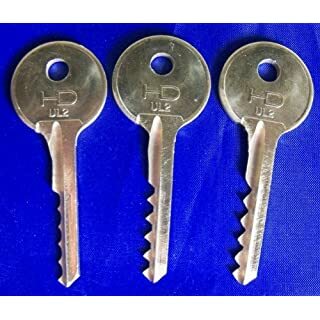 This pick set contains both the 2 and 3 lever try out keys. Includes: 19 picks to open most 3 lever locks such as Yale, Legge, Union etc. Picks are made from Hardened and tempered for strength, thin enough to enter bullet warded locks. 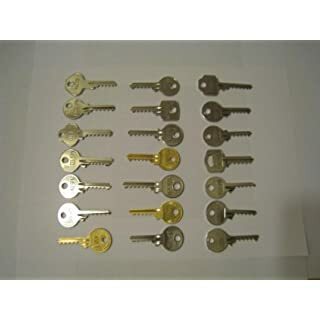 This pick set contains 7 picks to open most 2 lever locks such as Yale, Legge, Union, etc. 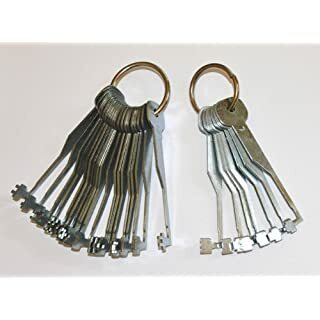 Picks are made from Hardened and tempered for strength, thin enough to enter bullet warded locks A free high quality printed locksmith catalogue and guide containing over 800 products is shipped with with every order ... All our orders are sent first class recorded delivery, do not accept anything less ! 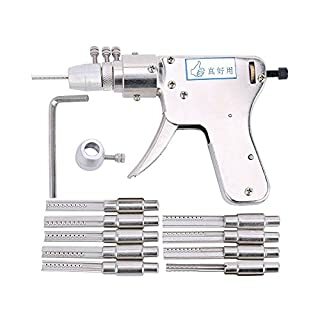 Why need this practice tools to learn?--You may have experienced the door lock was broken and can not be closed. 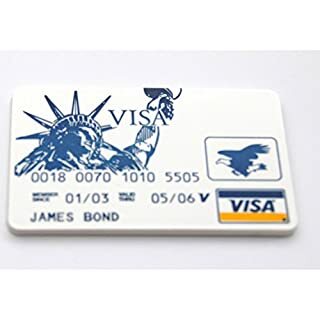 Sometimes we will require help from the locksmith, but this way must will be paid and waste time to wait. So, if you can be a "locksmith", the money and time will be both saved. 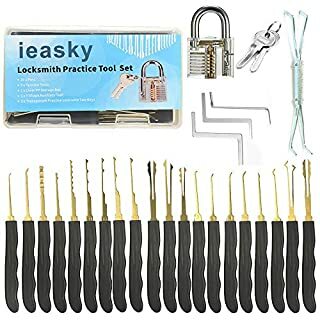 --Explore the secret of keys and master lock skill bring great fun to life.Why Ieasky lock practice tools set will be your best choice?HIGH QUALITY MATERIAL: TITANIUM ALLOY This material has great corrosion resistance and very lightweight. 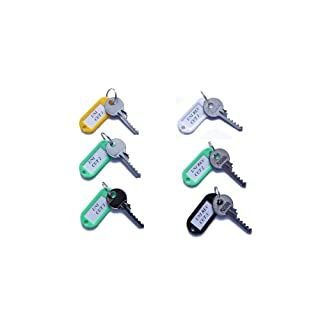 Its' hardness is larger than aluminum two times, very durable.WARM-HEARTED DESIGN: WAVY HANDLE, TRANSPARENT LOCK AND TOOLS NUMBEREDWavy handle design ensures comfort in practicing.Transparent lock lets you learn the lock structure clearly before practice. Tools numbered for 15 pieces single direction pins, according to the number and practices one by one. 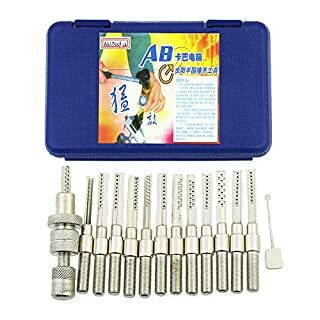 5 pieces double direction pins are for learning more high level skill.NEVER AFRAID OF LOCK YOURSELF OUTDOORS AGAINAfter you fully understand the lock's structure, you can easily open the lock in emergency situation. Keep you from locking yourself out of the house.WIDE VARIETY OF PICKAGE1 x Transparent Practice Lock with Two Keys15 x Single Direction Pins5 x Double Direction Pins1 x Y Shape Auxiliary Tool1 x Clear PP Storage Box3 x Tension Tool1 x InstructionHow to start to practice?The operation details please find in our use instruction. And there is a video link in instruction for you to learn more easy.